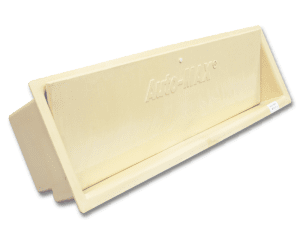 Auto-MAX Wall Inlets keep flow and air velocities at proper levels for a draft-free mixing of incoming air. 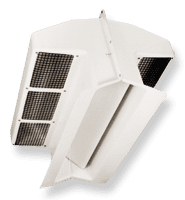 Transitions from day to night ventilation and from season to season occur with no need for user intervention. 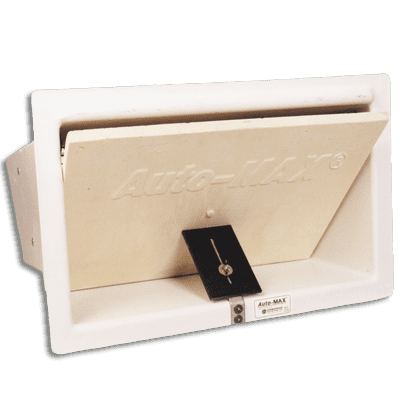 Precalibrated at our factory, Auto-MAX inlets never require adjustment! Nothing beats Auto-MAX performance. 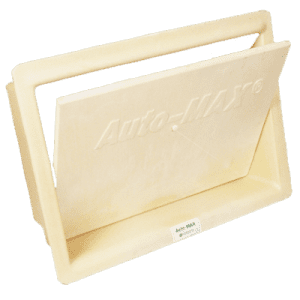 Made of corrosion-resistant structural foam, 647 CFM, 26.75″ long x 22.5″ wide x 12.75″ high (68 x 57 x 32 cm). L x W x H 26.75 x 22.5 x 12.75 in.